High style wafts off this traditionally inspired pedestal. Multi-level pedestal with three swirled feet and carvings at the top of each leg. Tabletop is round with thick apron underneath. 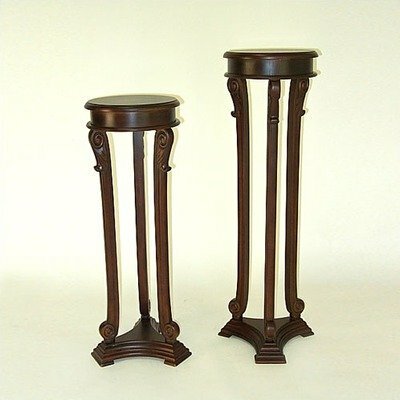 Three feet tall, you can use it to display a sculpture, vase of flowers and more. Traditional design. Round top. Made from Birchwood. Smooth finish. 13 in. L x 13 in. W x 36 in. H (20 lbs.). If you have any questions about this product by Wayborn, contact us by completing and submitting the form below. If you are looking for a specif part number, please include it with your message.